THE BLACK MAMBAS FILM IS OUT! Going back before Christmas, zoologist Nigel Marven and I both wanted to help charity Helping Rhinos and The Black Mambas anti-poaching unit based in Balule Reserve in South Africa. The idea was to raise three thousand pounds to cover expenses ONLY and to fly to the Greater Kruger National Park to film the fearless ladies in their duties over the period of a few days. We fell short of our target, in fact we only raised 45% of the expenses needed for the trip, but we covered some of our own expenses ourselves, still determined, and flew out to film the ladies. We not only woke at 5am to follow them on their duties checking the 20km perimeter fence for poacher entry, we also followed them as they cleared snares and discovered the bodies of poor snared wildlife which had died a slow and painful death. We shadowed them as they took part on The Bush Baby educational programme at a local school, where the adults of tomorrow are being educated to care for their environment and the animals within it. What an amazing initiative which is really working. 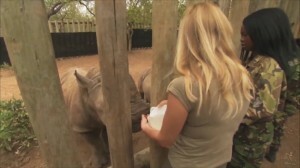 We also had the joy to be able to meet several orphaned rhinos and learn what it takes to raise them to adulthood curtsey of Jade Aldridge at orphanage Rhino Revolution. So on just £1, 366 money raised, we managed to pull off a beautiful 10 minute conservation short which lets people into the lives of these amazing ladies. All this week, The Black Mambas have been promoting their work in London and we appeared on BBC Radio 5 Live with Nicky Campbell, an amazing animal advocate, in order to promote the work that the Mambas do and also the release of the new film short, so a big thanks to Nicky, who is often at the demos in London for supporting these wonderful ladies. 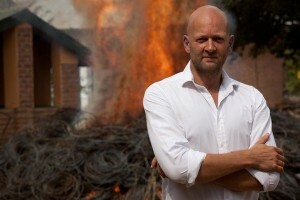 The situation in Africa is so horrific now and with several colleagues of mine all initiating conservation anti-poaching programmes around the globe, including my dear friend and film maker Mark Hiley whose work in Malawi has changed the region beyond all measure, I am determined to go back out to Africa and make a full length feature documentary about Africa’s diminishing wildlife in order to inspire the world to try and help before its too late. 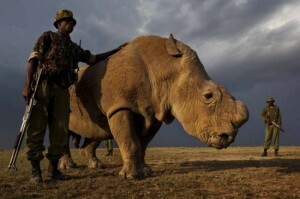 The Great Northern White Rhino has only three individuals left, one male, who is under guard 24/7 and two captive females who are too old now to reproduce….we are simply waiting and watching for the northern rhino to disappear into extinction. With the Javan rhino’s numbers teetering around 60 and the Sumatran rhino population around 100, we could be on the bring of a mass extinction of the world’s huge animals. Worse still, 3 rhinos per day die for their horns to be stolen in order to feed a traditional medicine trade which has absolutely NO EVIDENCE of working. Animals are dying for nothing and people still buy these products. Hopefully with education, the Asian populations who are feeding this market will eventually turn around and realise the destruction to which they are contributing to. This goes for pangolins, tigers, lions, elephant tusks, shark fins, manta ray gills……and the list goes on and on and on……………This is NOT sustainable! Please share our film we made as much as possible and spread the message that the work the Mambas are doing is really making a difference – if it were to spread out all over Africa, it would be another factor helping towards protecting the last few remaining African animals we have as the population grows at a staggering rate. Thankyou to the people who donated towards our trip – your names are listed underneath the film. Thankyou to: Paul Naden, Gary Hodges, JuMu Rhino Fund, Giovanni Terry, Andreas, Katherine Hucker, Robin, Simon, Shane France, Marj El-Qawas, Liz Pain, Jenni, David and Sarah Chilvers, Jeremy, Jen Huntley and many anonymous donations. Without your help, this trip and this film would not have been possible, we thankyou so much for your generosity. Copyright © 2019 Anneka's Green World. All Rights Reserved.